Let , , and be fixed positive integers, with . There are players. Each draws cards in turn from a pile of cards containing red cards and white cards. A player immediately loses the game after drawing a red card. This game is mathematically equivalent to a Russian roulette game in which players take turns. Let be the probability that the player loses the game. 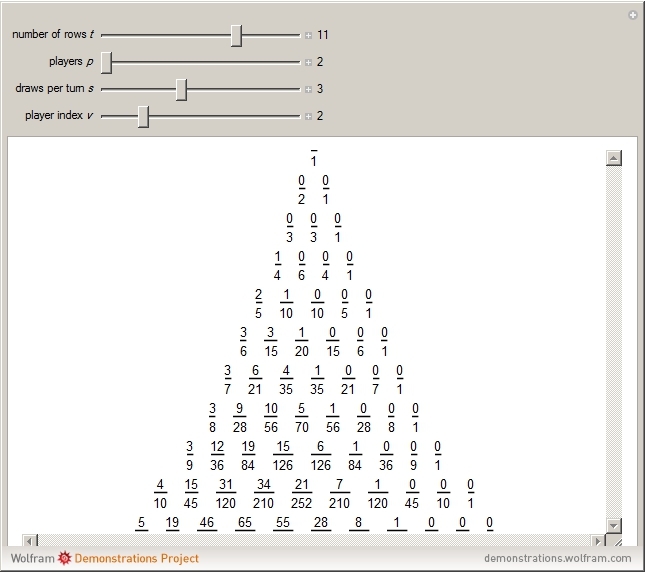 Then for fixed positive integers , and , the set of denominators and numerators of for , , have a very similar pattern to the pattern of Pascal's triangle. 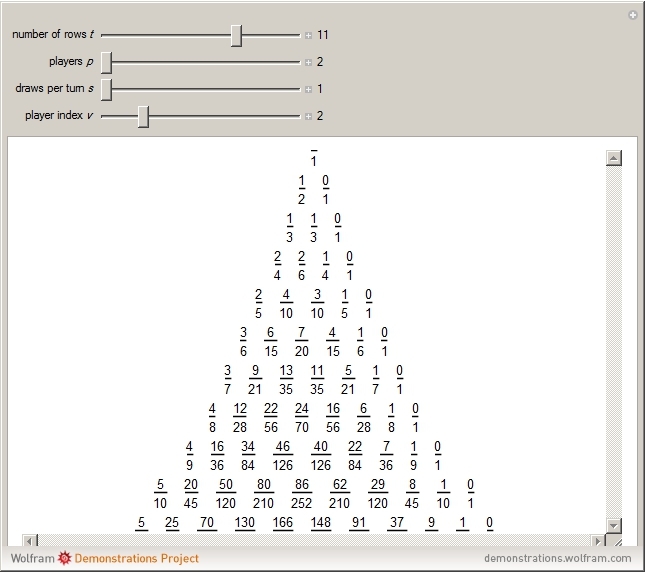 This generalizes the author's Demonstration "Pascal-like Triangles Made from a Game", and the result generalizes results published by Miyadera [1,2]. H. Matsui, D. Minematsu, T. Yamauchi and R. Miyadera, "Pascal-like Triangles and Fibonacci-like Sequences," The Mathematical Gazette, 94(529), 2010 pp. 27–41. doi:10.1017/S0025557200007129. R. Miyadera et al., "Pascal-Like Triangles and Fibonacci-Like Sequences," The 20th Japan Conference on Discrete and Computational Geometry, Graphs, and Games (JCDCG3 2017), Tokyo University of Science, August, 2017. 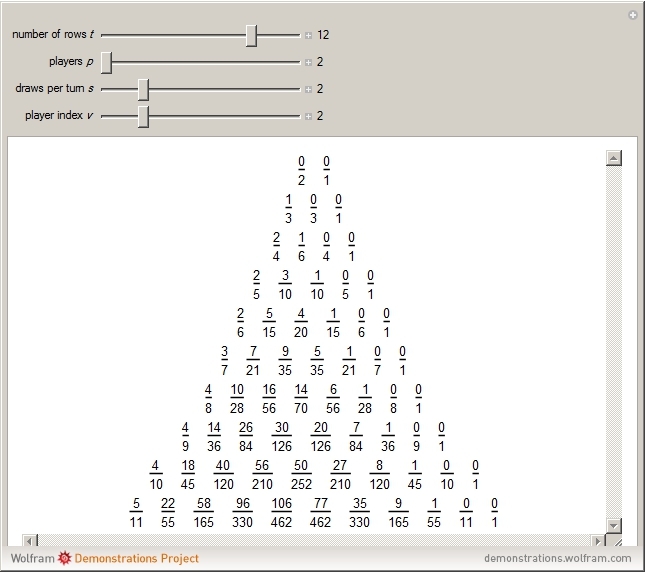 "Pascal-like Triangle Made from a Card Game"